The Baths of Caracalla are the remains of what was once one of the grandest and most elaborate bath complexes in Italy. It dates from the early third century AD and was inaugurated in 217 by Caracalla. One of the largest bathing complexes ever built, Caracalla’s baths could fit up to 1500 bathers at any time, getting through an estimated 15,000 – 20,000 cubic meters of fresh water a day, which was brought in from the hills near Subiaco via a special branch of the Aqua Marcia aqueduct. Remains of the many different rooms are still visible, including the apodyteria (changing room), the frigidarium (the cold room), the tepidarium (warm room) and the caldarium (the hot, steamy room). There was also an open air natatio (swimming pool). Heating was provided by ahypocaust – an underwater heating system fuelled by over fifty wood-burning furnaces. Not just a bathing complex, the baths played a vital role in the social life of the capital and included gardens, two separate palastrae(gyms) for exercise or for boxing or wrestling matches. For those of a more intellectual bent, the building also housed a public library with one room for Greek texts and another for Latin. Entrance to the baths was free, but plenty of local business would have been provided by the numerous shops, bars and brothels which were built nearby. In their heyday, the baths were extravagantly decorated by mosaics and painted statues, althogh only a few remnants of these are still visible today. 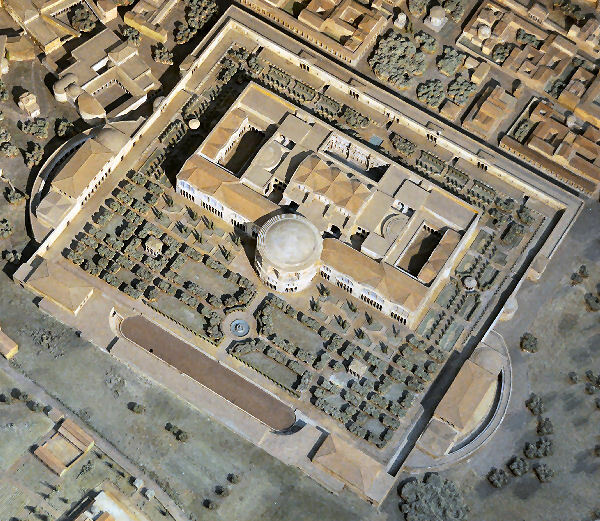 In ancient times, Tivoli had been known as Tibur. This charming town is located in the region of Lazio around 30 km from the city of Rome. 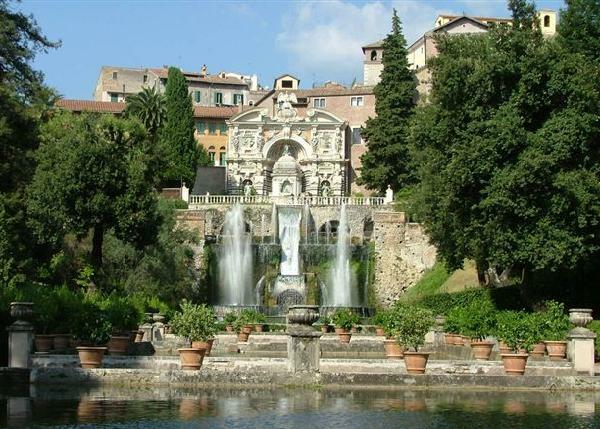 Tivoli hosts two of the most famous villas you can find in all Lazio: Villa d’Este and Villa Adriana. Both locations are part of the UNESCO World Heritage list and a popular tourist destination. The town is located close to the Aniene River which flows down from the Sabine Hills in the region. The climate of the town is splendid almost all times of the year which is why it has become a very popular tourist destination in the past few years. Since ancient times when the region had been home to the wealthy roman residents, many large villas had been built in the area as summer retreats for the rich. In Tivoli, there are plenty of things for visitors to do. The two villas of Tivoli are the main tourist attraction in the town along with the thermal baths. Several travelers often visit Tivoli as a day excursion from Rome while many prefer to stay in Tivoli itself because of its peaceful natural beauty in comparison to the crowded touristy places of Rome. Tivoli has gained much importance for two reasons. One for its famous Roman Hadrian’s Villa and other for its thermal baths which have several therapeutic properties well known all over the world. The city is visited by thousands of visitors from all over the world because of its waters and thus is well connected to the other locations in Italy. The transport system in Tivoli is well developed which makes it easy to travel to the city. The city is located only 30 km from the city of Rome. Tivoli is located at the falls created by the Aniene River in the region where it issues from Sabine hills. 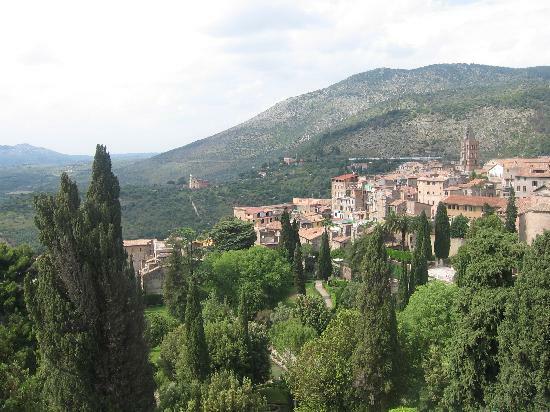 The city offers beautiful views of the Roman Campagna and the surrounding areas. Those who are travelling by train can get a train travelling on the Rome to Avezzano routes. There are also several buses which leave at regular intervals from Rome. Driving down to the city is also quite comfortable since the town is located only a few kilometers from Rome. The thermal springs of Tivoli are famous since the ancient times. 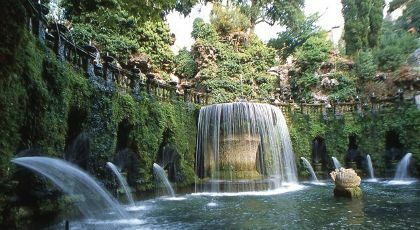 During the rule of Emperor Augustus, Tivoli gained much fame for its waters. The Acque Albule Springs in Tivoli is known to be the most sulphur rich spring in all of Central Italy. The springs are located around 4 km from the centre of the city. 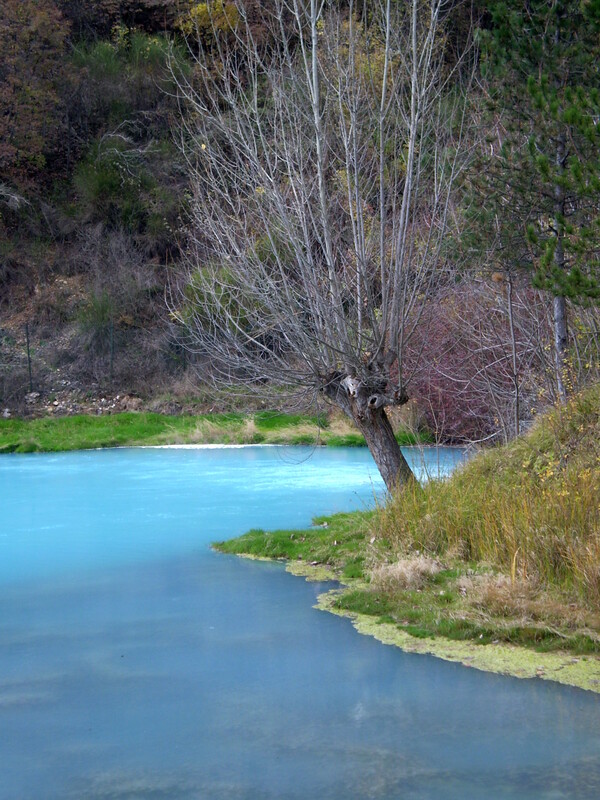 Due to the high content of minerals in the water, the springs have a distinct smell and are greenish blue in color. A thermal establishment had been built near the springs by the Romans when they realized the healing abilities of the water. 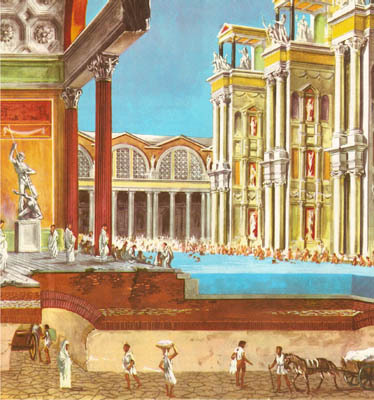 Augustus, who had been suffering from rheumatism, had especially ordered the building of this thermal establishment. The ruins of this ancient Roman baths can still be seen in the area today where the Romans had bathed regularly to treat themselves of several different types of ailments. During the ancient times too the residents of the area knew that the water have the ability to cure several types of diseases and especially for mending broken bones. In the ancient times the water of the springs were used for bathing and also for drinking as a health tonic. Several inscriptions had been found in the area which again talked about the healing properties of the area. The baths were forgotten slowly after the Roman rule. It was only in the 16th century that the people in the region again were reminded of the healing properties of the water of the spring and ever since then Tivoli has been an important health resort. Today, people from all over the world travel to Tivoli to bathe in the sulphur and mineral rich water of the Acque Albule Spring. The modern spa is located not very far from the ancient Roman baths. Even today the water of the spring is used for several treatments by the spa for curing respiratory problems, bone problems and even for several different types of beauty treatments. 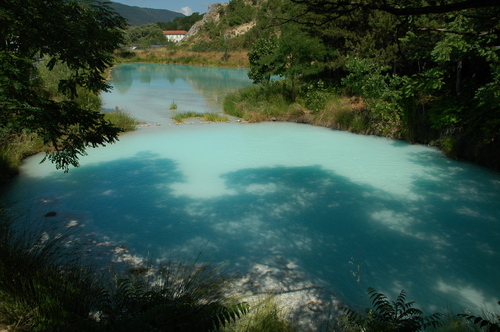 The therapeutic properties of the region’s waters attract great numbers of visitors to the Thermal Spas and Springs: the Spring of St. Susanna, in the Nature Reserve of the Lungo and Ripasottile lakes, which was declared a national monument in 1977, the Thermal Baths of Cotilia, in Castel Sant’Angelo, the Thermal Baths of Cottorella, situated within a park at the entrance to the city of Rieti, the Lupetta Spring, in Greccio, in the province of Rieti. A great allure, somewhere between history and legend, envelopes these baths, built atop natural springs abundantly flowing with waters that were once upon a time considered sacred. Today official medicine recognises the therapeutic properties of the Cotilia waters, used for the prevention and cure of many illnesses in a modern, well-equipped spa structure. 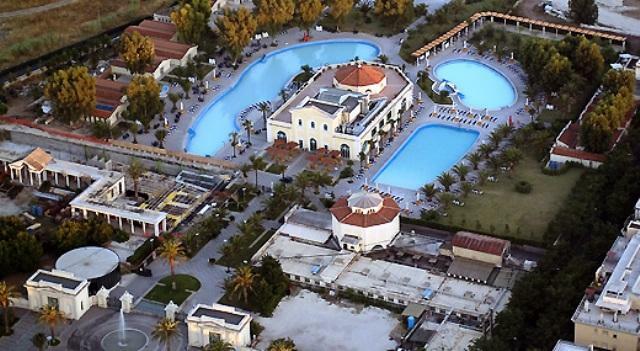 The area surrounding the Cotilia Thermal Springs Complex is characterised by an abundance of thermal hot springs issuing from two main locations, the Old and New Baths. Three little lakes, numerous springs and small streams form a seemingly limitless watershed, known for the chemical and physical properties of its sulphurous waters. Already in the pre-Roman period, the baths were a pilgrimage destination for religious people who came to consult the oracle of the great sanctuary known as the Santuario di Cotilia. 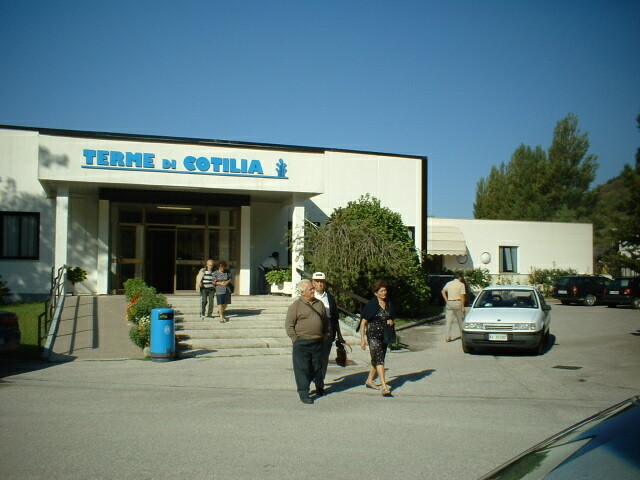 With time Cotilia lost its reputation as a religious centre, and became one of the favourite thermal spa centres of the Roman nobility. Its golden age was during the dynasty of the Flavian emperors, who built splendid villas and a sumptuous bathing complex. Today a modern, well outfitted Thermal Spa Centre welcomes guests and offers many cures and treatments: mud baths, thermal baths, hydro-massage, inhalations, aerosol, humage, nebulization, gynaecological irrigations, massages, nasal showers, hydropinic cures, endotympanic insufflations, pressure therapy, micronized showers, and wind-, physical- and respiratory therapy. The particular shape and variety of the land makes it ideal for hiking and all outdoors activities among the beech trees that populate the higher areas and oak and chestnut trees that characterize the lower altitudes. 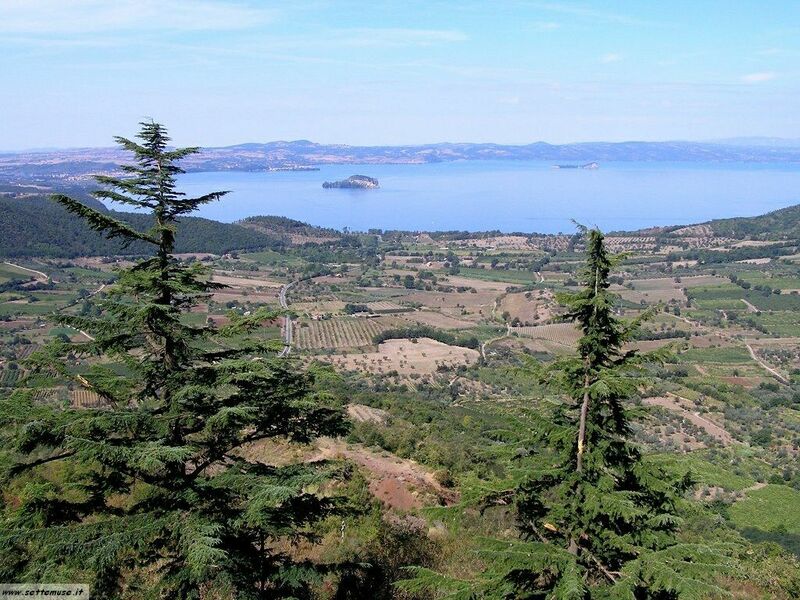 The lakes of Bolsena, with the beautiful islands of Martana and Bisentina, and Vico are ideal for relaxing holidays or to practice water sports, sailing and canoeing, as well as horse riding. Lake Vico, which lies within a nature reserve, is equipped to offer hiking, mountain biking and horseb riding along paths that cross a nature of great charm. 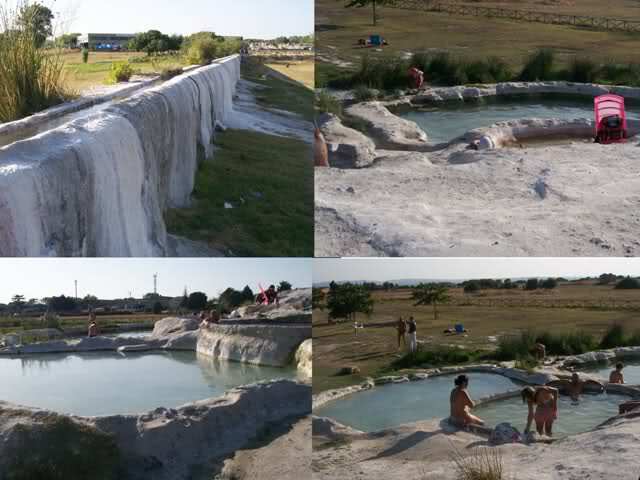 One of the main attractions of the area are the spas, known since antiquity. Frequented by the Etruscans, the baths of Viterbo were expanded by the Romans, so that the remains of their structures occupy an area 11 kilometres long. 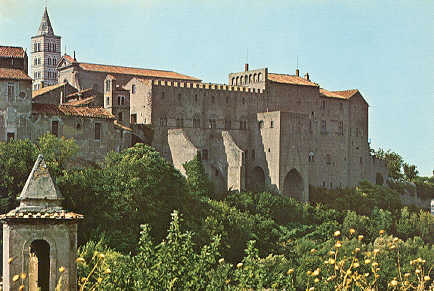 In medieval times they became a favourite destination of many popes for the treatment of various conditions thanks to the properties of mud and water. The three best known are the springs of Aquae Passeris, Paliano and Bullicame, quoted by Dante in the Divine Comedy and also portrayed in a famous painting by Michelangelo. Today the famous Terme dei Papi offer a pleasant stay for cures and relaxation. 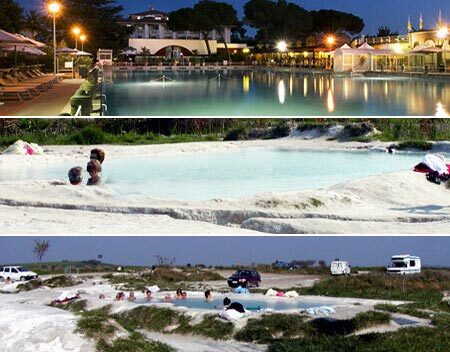 This article, “Thermal Baths � Terme del Lazio” ended up being perfect. I am creating out a replica to clearly show my personal buddies. Wow, that’s what I was looking for, what a data! existing here at this website, thanks admin of this website.